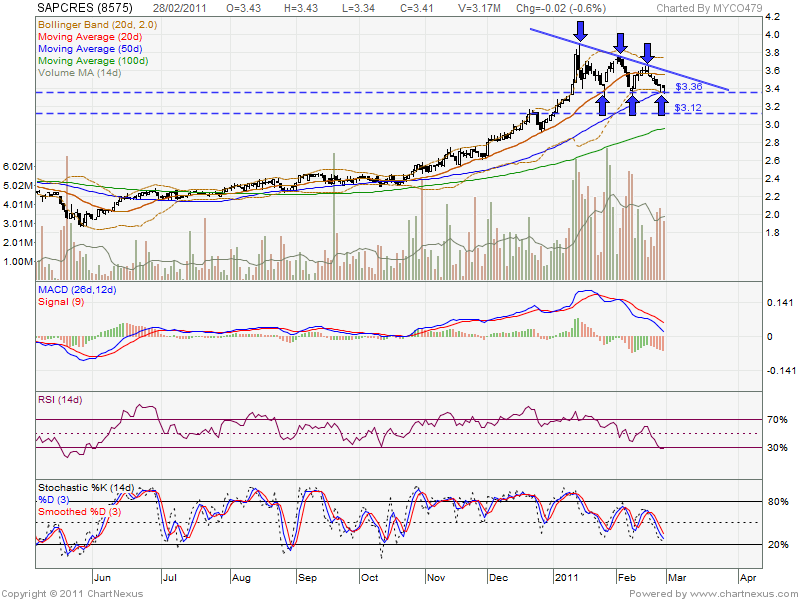 It have been attempt 3X at RM3.36 level & now forming decending triangle pattern. So, RM3.36 is current strong support level (also MA50 support level). If selling pressure too high, it might future break down. 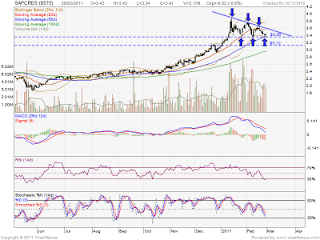 However, if able break up the triangle upper line with huge volume, it might retest RM3.74 & RM3.90 resistant.